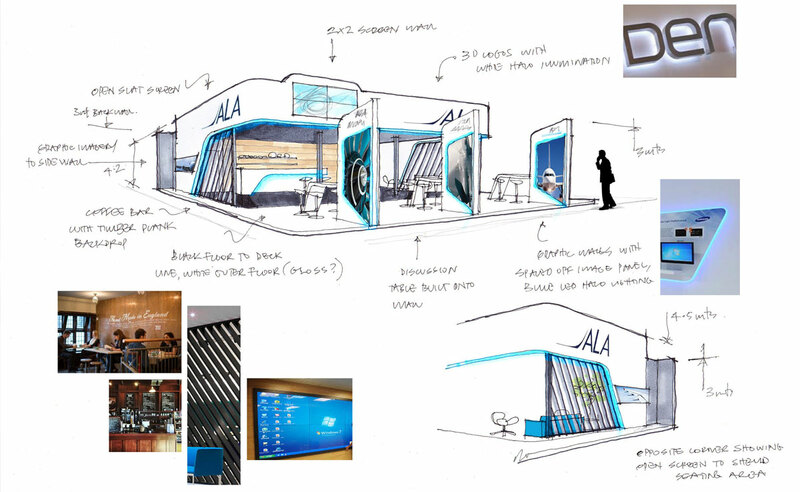 Exhibition design and build case study: The project involved designing and working on a brand transition following an acquisition of the client STAG to new owner ALA Group. Our brief here was to develop a solution which could integrate the new branding within the stand design and transition across to the new business owners. 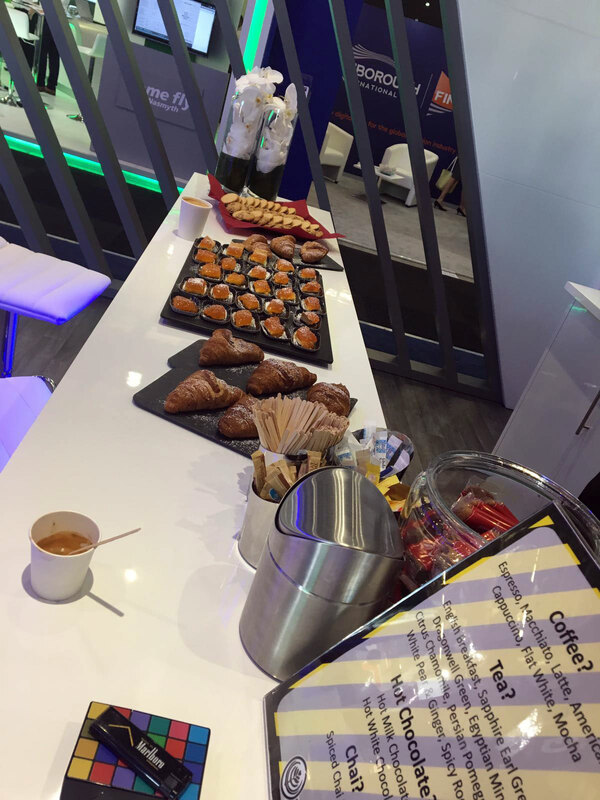 The brief also changed to the new owner’s objectives, which was to host an exhibition space free from a product with the focus more on hospitality and customer interaction. The emphasis on customer hospitality also included the design specification of a working kitchen and a professional Barista. With a working kitchen of prime importance, one of the challenges was to meet Food Hygiene Health and Safety. A dual-purpose space for presentations and private meetings meant this area had to be readily transformed from a boardroom to a presentation area. With minimal time to convert the room from one function to the other, the design called for the fast transition of space using Smartglass to create instant privacy. 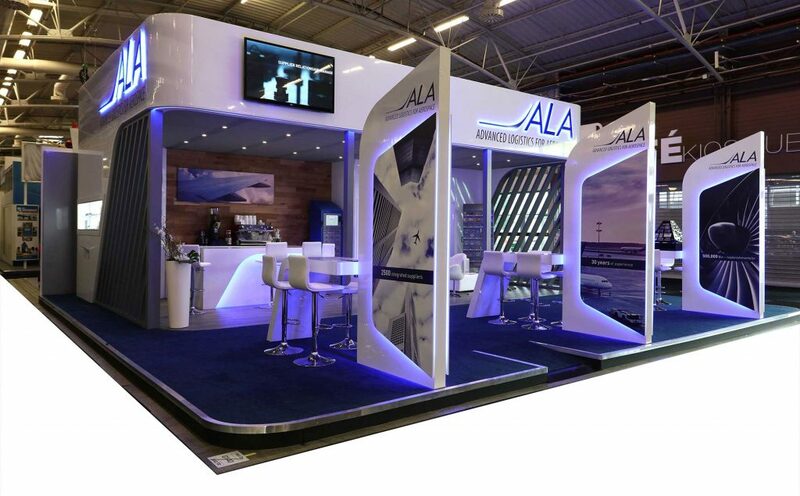 Priority Exhibitions years of stand management experience helped ALA to manage the design and their company reputation. 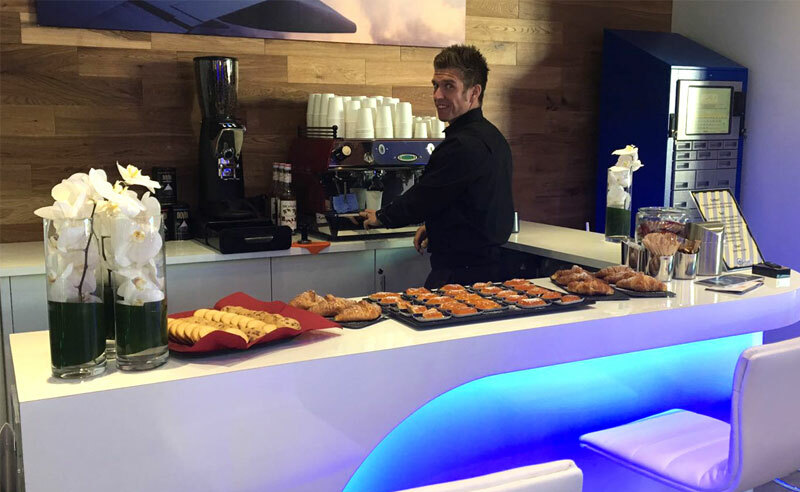 Focusing on hospitality at your event, we have the ability to install a Barista within the design of the schemes to offer hospitality for your top clients and also attract potential new ones! 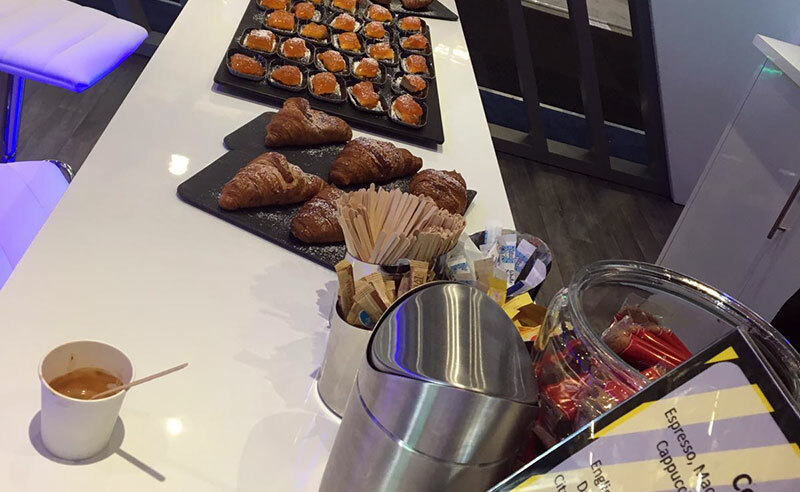 When an intimate space is required for sensitive meetings at a busy event, we can design a scheme with Smart Glass that enables instant privacy with the flick of a switch. A separate meeting room away from the core stand is not needed when you have a Smart Glass solution designed by our team. Using our design skills, we have the ability to design scalable and flexible designs for multiple stand layouts and usage.